CTR 168 (Fall 2016) now available! It has been 27 years since CTR devoted an issue to the subject of critical practice in Canada. In the meantime, the field of theatre criticism has undergone considerable transformation, in large part due to the global erosion of print media and the unbridled growth of the Internet. This shift has had many consequences, from shrinking space devoted to arts coverage in mainstream media outlets, to the proliferation and diversification of critical voices online, to a widespread questioning of the role and relevance of expertise in critical discourse. 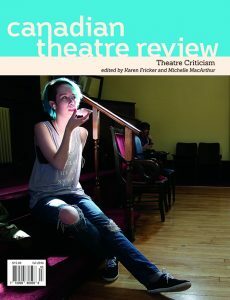 CTR 168 Theatre Criticism, edited by Karen Fricker and Michelle MacArthur, takes stock of Canadian theatre criticism and charts the relationship of theatre studies to theatre criticism at this vital juncture. Assembling an exciting array of voices from across the country, CTR 168 instigates lively and urgent debate on the uncertain future of theatre criticism. Artists speak back to their critics and outline their critical utopias, educators reflect on the importance and practice of teaching theatre criticism, and several contributors explore how innovative modes of criticism—from blogging, to anti-racist praxis, to interactive film screenings—might challenge the authority of traditional pundits and tastemakers and disperse their power to the masses. In I Really, Really Mean Something: Ten Micro-Plays about Theatre, the featured script specially commissioned for this issue, Rosamund Small offers some criticisms of the Canadian theatre industry while exposing the different forms criticism can take. 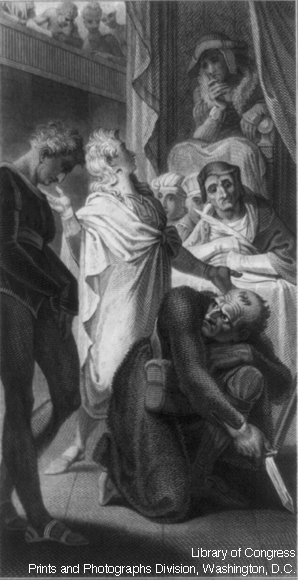 Small’s satirical and incisive script reflects a broader shift in the relationship between art and criticism, the boundaries of which are being increasingly blurred by a new generation using online platforms to create conversation and collaboration among different stakeholders—practitioners, reviewers, scholars, audiences, and those who straddle multiple categories. The online slideshow illustrates this shift as well. Featuring excerpts from theFacebook Relay Interview, a project initiated by artist Erin Brubacher that connected 344 participants to discuss issues of equity and diversity in Canadian theatre, the CTR 168 slideshow demonstrates how social media can be used to generate dialogue, build community, and challenge traditional hierarchies structuring critical discourse.